Thanks so much for this! 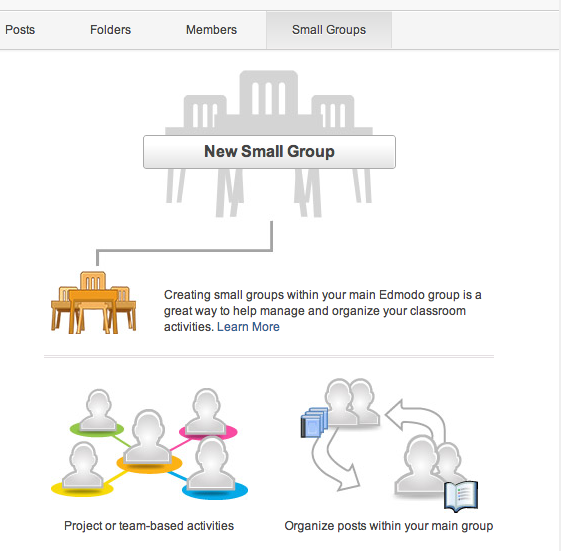 I just discovered Edmodo this year and am LOVING the upgrade from my old LMS, Moodle. However, I had heard of Schoology, but not explored it. I'm glad to have your analysis as a resource for any future decisions, discussions, or recommendations I may make. Thanks for sharing! Hey Brianna! Glad to help. I love Edmodo too - this was a hard switch. But I just had to do what's best for our kids and right now, this seems to be the better tool. Excited to see what Edmodo comes up with next! Great post - thanks! We are looking at perhaps moving away from Moodle, and Schoology is one we're exploring. 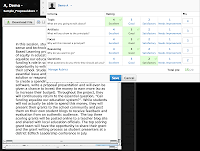 I really liked the ability in Schoology to embed audio or video into any part of the course. That's pretty attractive as we're trying to find ways to support more speaking and listening activities for CCSS and world languages. Thanks, I have my classes signed up with Edmodo this year but I was looking for something else so that when I posted a question and students reply, I could reply directly to their post instead of my reply showing up at the bottom of the general thread. Thanks! Thank Jennie. I have a few interested teachers lined up to try Schoology next week. Several of us tried out Edmodo after your visit to Maine, but as you so eloquently put it, in iPad classrooms Schoology makes more sense. Looking forward to a better work flow! Thanks Jennie. Your comparison and conclusions are spot on with what we are experiencing with our 1:1 iPad pilot. 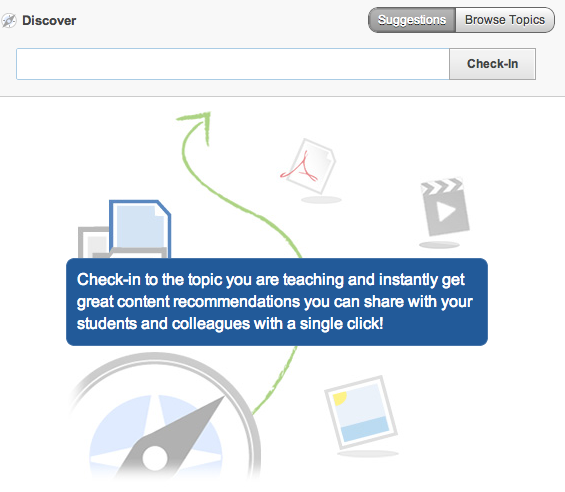 While not perfect, Schoology is closer to the one-stop-shop for full learning management. Our district just purchased the enterprise version of Schoology and we are hoping to integrate our SIS and data management pieces into a single Schoology dashboard. We are presenting Schoology at ICE and ASCD in the coming weeks. 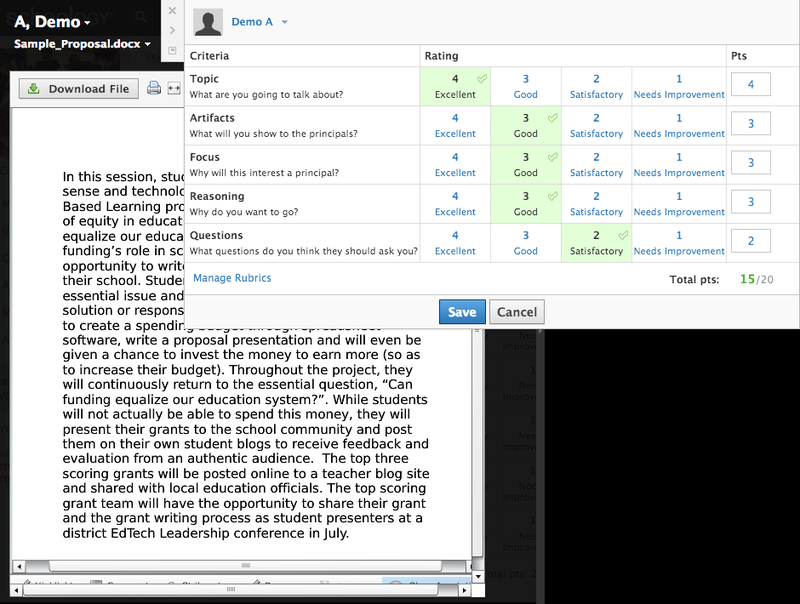 In addition, we are in the planning stages of hosting Schoology's first user-group conference. (THSD 211 - Palatine, IL). Stay tuned! Thanks for writing this post. I have been an Edmodo user for 3 years now, but have begun to be frustrated. One of my biggest issues is actually with the parent view. Parents can't send messages to teachers so the parent view becomes just one way communication. Can parents message teachers in the Schoology parent view? My hesitation with switching is that I have spent many hours creating tests in Edmodo. I would hate to have to do all of that work all over again. Is there a way to transfer the tests from Edmodo to Schoology? Our district is wrestling with this very issue. We have a third system thrown into the mix, however: OpenClass. Anyone care to weigh in on this option compared to Edmodo and Schoology? Thanks, Jennifer. Your article was extremely helpful. We are going 1:1 next year with Chromebooks so having a consistent LMS is going to be necessary. Teachers need to send their students into my computer lab to take a test. I need to assign each student a different test. Then, we need to be able to print out the test results for each student so the student can return the results back to the teacher for review. I need to print out a copy of the test with the correct answers, as well, for the teacher. And, if we have more students than computers or the lab is down, I need to have hard copies printed out, without answers, that can be run off. Yes, I could do a print screen for each question, but that would mean a print-out of more than 50 pages for each student not to mention the time involved. Does anyone have any sites or software that will work for us? 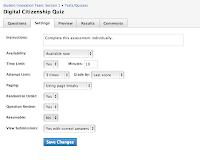 Have you tried a Google form graded with Flubaroo? You can print the form with the questions only, but student submissions would go to a spreadsheet for the teachers who assigned the test. Our system isn't available to the public, but if you have a programmer you can talk to about creating it, I'm sure you will be very popular. As an alternative, there are always things like braingenie.ck12.org. 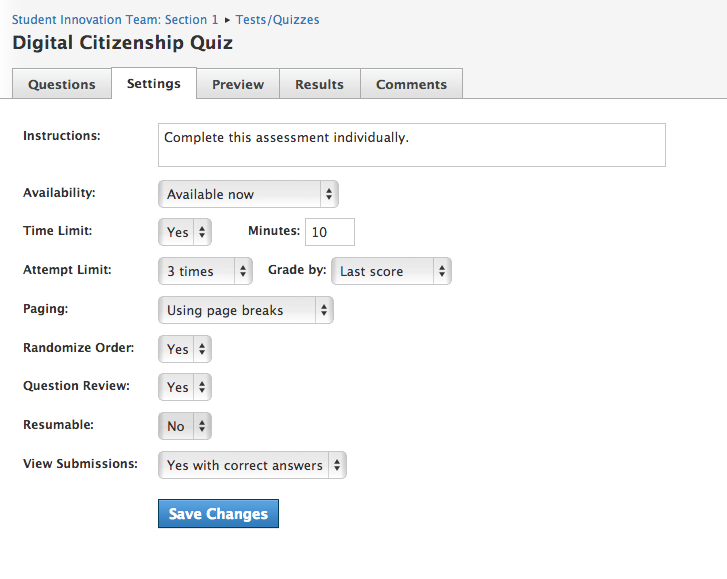 The questions are already in the system, but each student receives a randomized quiz and teachers can easily track each student's performance. Hey thanks for the great post, your work and examples are always great ! I think we have a mutual friend Jay Atwood. We both work together in Singapore. We are looking at Schoology as a possible learning platform moving forward so these resources are very useful. The Google Drive integration is ok, but from my first look it looks like the navigation within the drive is really weird. Hard to find folders or even access shared items (which is not maybe so important) Have you had the same issues, do you know if this is something that Schoology is working on improving. Also do you know of anyway to get away from using just numeric grades on assessments within Schoology? 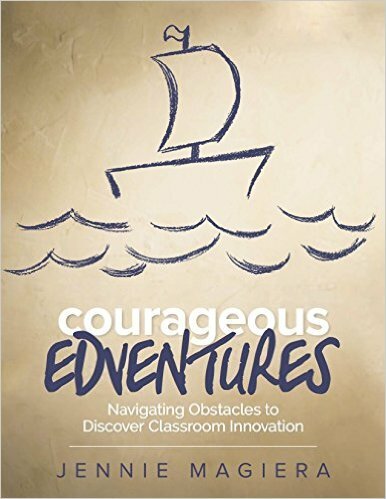 We would love to link criteria or rubrics to assessments, rather than pure %. Anyway look forward to reading your future posts. Hi Andrew - tell Jay I said hello! Yes, the Drive integration can be wonky at times, but it works well for us and for what we need. 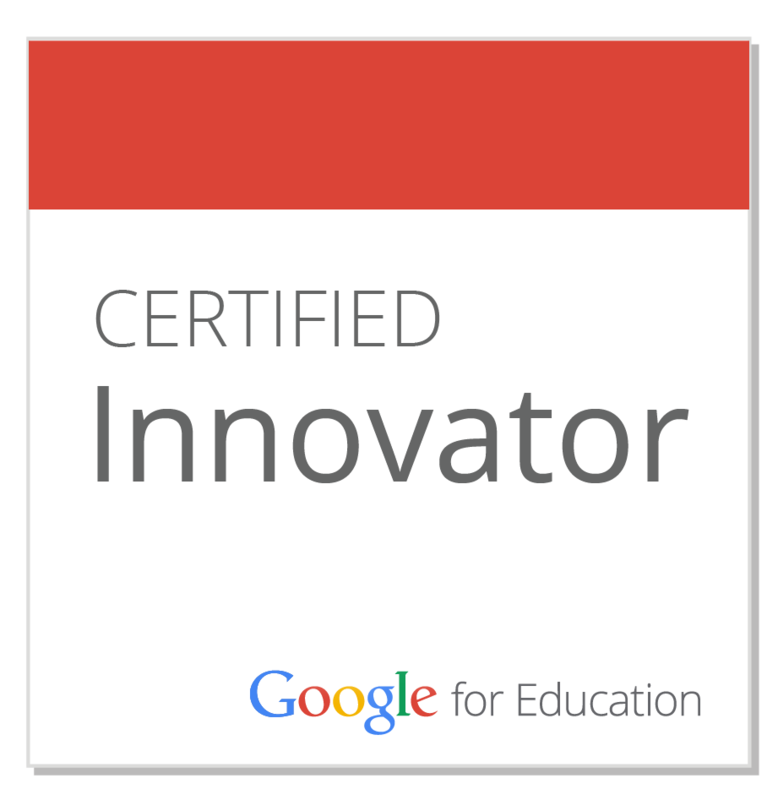 We use it in our Chromebook 1:1 classrooms and it gets the job done. You can change the numeric grades to letter grades, but as of yet they don't have a rubric grading option... I believe it might be on the horizon though. You can email help@schoology.com and give them that request though - they are super open to ideas/suggestions and feedback! Thanks so much for the GREAT info! I got excited about Edmodo until I realized the quiz tool's media limitations weren't going to work for me as a music teacher. It sounds like Schoology might! What I'm really looking for is the ability to allow kids to take the "same" assessment multiple times on their way toward mastery. IMO, a fully-functioning online quiz application would allow me to create "buckets" of related questions, then create quizzes that were triple randomized...a certain number of questions from bucket A and some more from bucket B, random question order, and random multiple-choice answer order. If you come across something like this, I'll have a fundraiser to pay for it!!! Schoology allows you to take the same assessment multiple times and save entire assessments, or individual questions, to banks so as to create differentiated assessments in the future - or redeploy the same one. Also, now they have the ability to grade via rubric! Jennifer, this is an awesome article. Many districts are feeling the pressure to adopt Blackboard as an LMS as a step toward college readiness, but I have only heard of frustrated user experiences. Do you have any comparison insites? Sadly not - I only used Blackboard casually but in my personal experience do prefer Schoology as an LMS! Thank you for this gret information. We, too, are searching for a workflow solution tht will work with our 1:1 iPad initiative. In Schoology, is there a way for teachers to provide written feedback and edit/annotate a student submission? This is a key part of our workflow. No limits, Neil. Mind you, I didn't check about 250!. You can go to the help section, the community forum, search there or simply ask. Someone will come along with an answer. 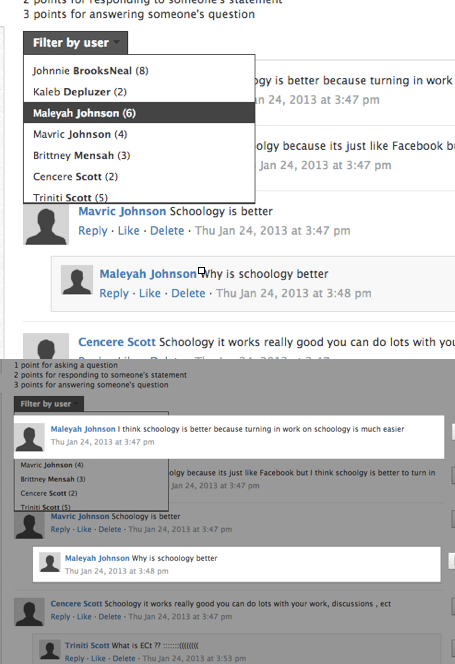 I am completing my first year of using Schoology and I cannot possibly recommend it highly enough. I has changed my classroom, and allowed me to only use 20 pieces of paper this semester. And that feels good! We need to institute something on Digital Citizenship. Is there a chance I could view what you are doing? Thanks for considering that request. Great assessment of both platforms. Thank you. I do want to clarify one thing you said about embedding in Edmodo. You can embed the actual video or whatever you're linking into Edmodo now, not just embed the link. This may be an update because I had linked some videos previously that didn't embed, but at the end of the year, I was able to embed the actual video! I have used Edmodo in the past, but it was clunky and ended up being more of a hassle than a help. I'd never heard of Schoology until I saw this post. Thanks for introducing me to something I've been looking for. I'm going to play with it over the summer, and see if it fits the bill. 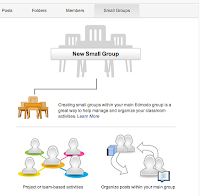 Do Schoology's Grading Groups function similarly to Edmodo's Small Groups? Seems like that would work, but I don't know if you can have the same students in multiple Grading Groups per Course. Just found out at #ISTE13 that our District is investing in the Enterprise, and giving schools the option to switch from Edmodo. My campus is the only 1-1 (netbooks with iPads likely next year) out of 34. If teachers switch, this will be the fourth change in five years: Blackboard, Moodle, Edmodo, and Schoology. Ugh! 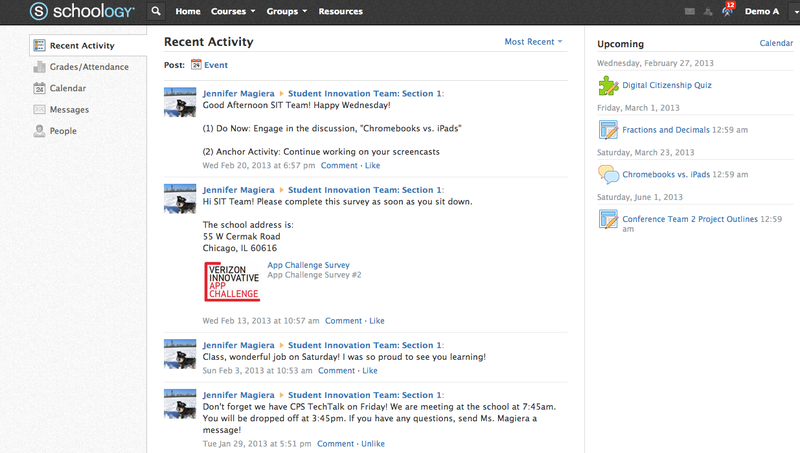 The change will be sweet.. Schoology rules! The groups are slightly different, but I think changes are coming soon! I forgot to mention that I've used your blog post, a few other sources, a little of my tinkering to create a comparison chart for my teachers. Thank you for this! This just saved me so much time. Also, my district uses powerschool for grades & attendance. While I'm not really planning on using the platform for attendance, I would like grades to be up-to-date...however, I'd rather not have to enter them twice. Is there a way to sync from Schoology to Powerschool (or vice versa)? Hi Rachel. Jen from Schoology here, just happened to see your comment and don't want to take over the blog post but I have answers for you! re: Powerschool, this integration is only available to our enterprise customers. You can always ask questions on our community support forum! Hope this clarifies things for you. Great article! 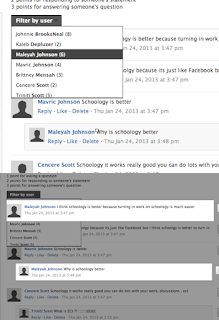 We have been using Schoology for a little over 3 years now and we love it too. In case you missed it, there are now achievement badges on Schoology (and they are sweet)! Ive used Edmodo for years, but as more teachers in the building switched to Schoology, I followed suit. I am finding it unwieldly and not intuitive at all, and customer service is non-responsive. Despite the advantages to Schoology - and there are several in layout in particular - I might be heading back by close of business today. I would love to do a learning management system with my very young students (K and 1) -- mostly for the kids to share their work and posts with parents and each other. I also like the badge idea. However, neither Schoology not Edmodo take the needs of very young children into consideration. For example, I reach an immediate stumbling block when my students are expected to join the class themselves. I need an option for me to add the students. Is there a management system that is geared to much younger kids? Thanks for the great article. I'm wondering- do you choose to use schoology in your classroom for free, or does your district have a paid enterprise version. Does your gradebook link to the SIS system to communicate classroom grades to report cards etc? We use the free version, which doesn't link to the gradebook or SIS. The enterprise paid version does, however :)! I wish we could get that! 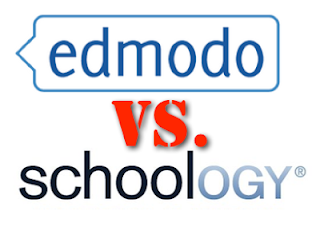 Do you have an updated comparison between the two with the new Edmodo features? 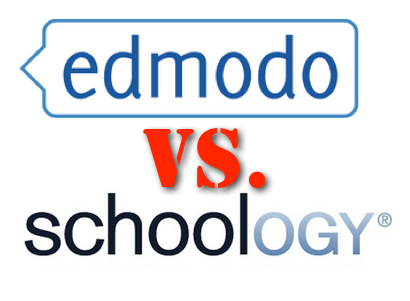 Have you communicated with Edmodo about the benefits to Schoology and possibly having them enhance their features. I use Edmodo but some of the teachers are looking into Schoology. I really want them to make an educated decision. I believe most of these still hold true... I have spoken with Edmodo about these features - hopefully we'll see something new soon :)! I'm not aware but look forward to exploring! Sorry about the post as "princess of darkness" - old handle - must change!! Thanks Jennifer, I just stumbled across your blog. Very insightful. I have a few questions. 1) is Moodle ‘dead’? I’m sort of locked into using Moodle within 2 different organisations. 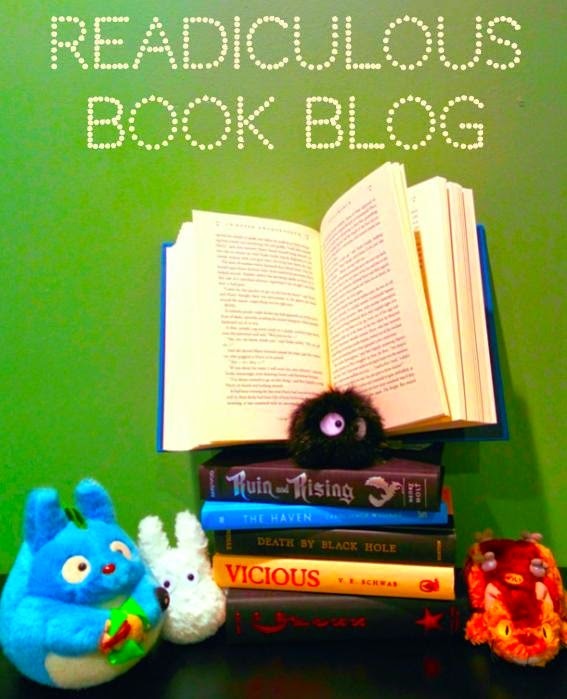 (Very hard to move away from the Moodle monster after investing lots of time into it!) 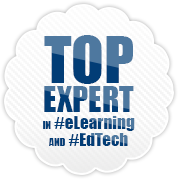 After 5 years I know enough about Moodle to advise a school not to use it but I have not had a solution to confidently recommend for a school to use - hence your blog is timely. Somewhat telling that Moodle doesn’t get any sort of mention in any of the comments. I suspect moodle will die a long slow death. 2) My understanding is that with Edmodo you start a year with pretty much a blank ‘page’ and then the ‘page/course’ populates as the year progresses. i.e. an Edmodo ‘course’ is tied to a class. Then at the end of the year that course ‘dies’ and you start again. Is this correct? If yes, is this the same for Schoology? The reason for the question is I work with secondary maths teachers who have a need to create ‘flipped mastery units’ where students can self-navigate through the content of a unit. The content is video heavy with explanatory notes and other resources. Much of the content is ‘image-driven’ i.e. hyperlinked images leading to videos, other pages of the course, etc. 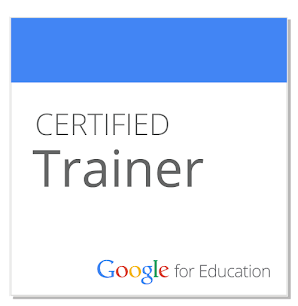 This is pretty easy to set up in Wikispaces, Weebly, Google Docs, and also Moodle. I understand that Edmodo (and Schoology??) 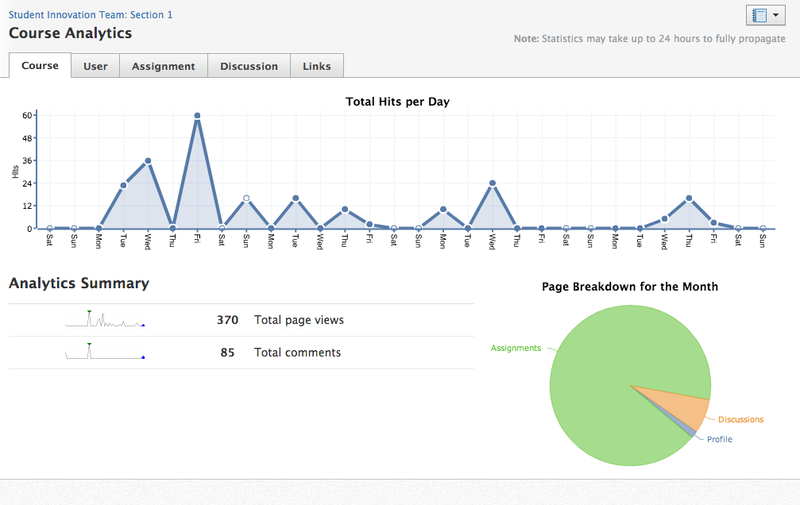 is ‘forum driven’ and more Facebook-like than a traditional LMS - and with obvious educational benefits. However if Edmodo/Schoology cause the teacher to start over each year then they are not the ideal solution for anyone wanting to create the type of flipped unit I described above. HOWEVER I’m thinking the best of both worlds could be achieved by building the flipped mastery units using an alternative tool and then simply link the units into the Edmodo or Schoology page. And re-link for subsequent years. Does this make sense? (Sorry for the long post!) Are my assumptions correct? Or is it possible to use Edmodo/Schoology to create flipped mastery units which carry over to subsequent years and be added to along the way? Thanks in anticipation for some clarity! Richard. From what you're asking I think you can still use Schoology. You'd save your quizzes and make your quarters extend beyond the one year. You're right that they are "in the moment" posts so having a static unit wouldn't be through assignments... you'd probably need to use the Pages section where you can add content there and set up micro-webpages. Thanks Jennifer ... and so Edmodo would not work so well in regard to setting up micro-webpages which last beyond the year? Tanks again.